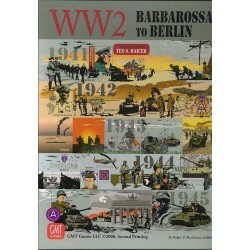 World War 2: Barbarossa to Berlin presents both the Allied and Axis players with a wide range of exciting game choices, while illustrating the key historical factors of the war: from the importance of mechanized forces in combat to the importance of oil to fuel them but without the complexity of other strategic WWII designs. 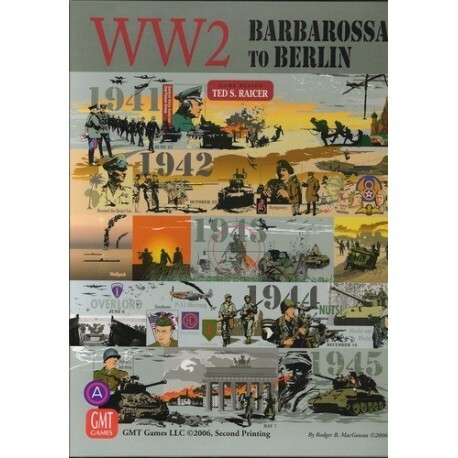 And, unlike many of those games, World War 2: Barbarossa to Berlin lives up to its title: an Axis player who fails to win the war may still win the game. The winner is often decided on the last turn as the Allied player struggles to extinguish the last traces of the Nazi empire. 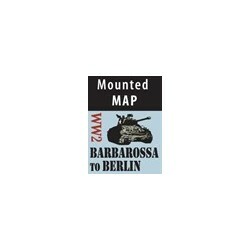 Designed by Ted Raicer as a follow-up to his multi-award-winning World War One strategic game, Paths of Glory, World War 2: Barbarossa to Berlin modifies the Paths of Glory systems to capture the strategic and operational dynamics of WWII in Europe. As in Paths of Glory, the heart of the game lies in the 110 Action Cards (55 each for the Axis and Allied players). Each card can be used for operational movement and combat, strategic movement, replacements, or for an Event. The movement and combat systems will be familiar to Paths of Glory players, but have been modified to recreate the blitzkrieg campaigns of 1941-45. 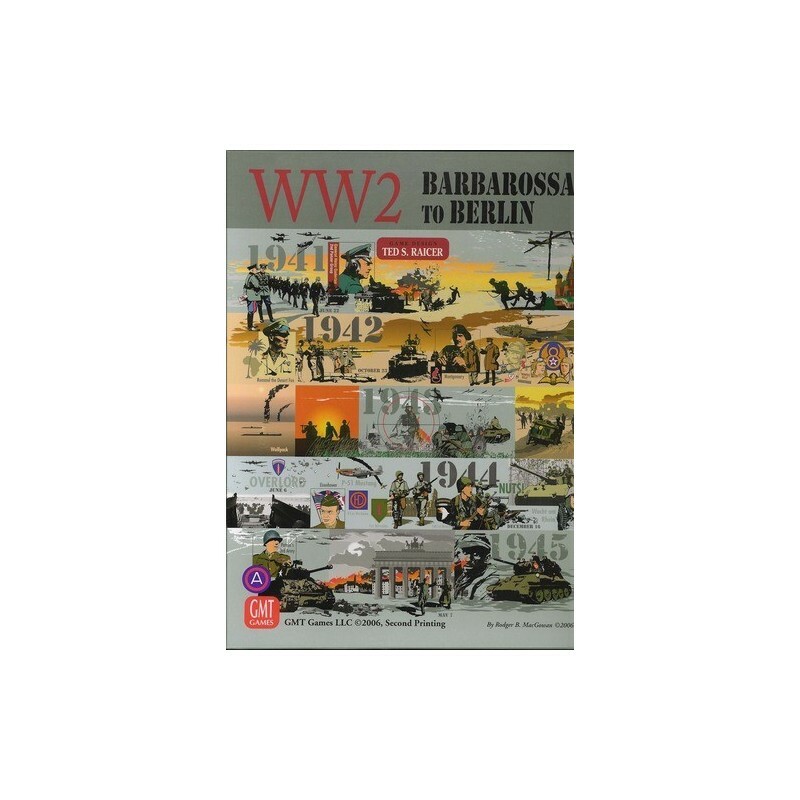 World War 2: Barbarossa to Berlin covers four years of epic struggle, from Moscow to Stalingrad, from Tobruk to Tunis, from Sicily to Rome, from D-Day to the Rhine, to the final battles for the Reich. It is June 22, 1941: will World War II end in German triumph in Operation Barbarossa or collapse in Berlin? As the world holds it breath, the decisions are all yours.